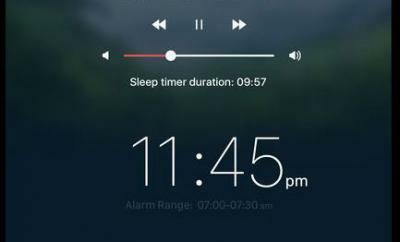 We have covered a number of awesome alarm clock apps here in the past. 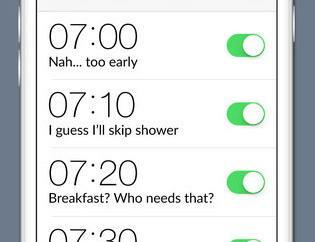 They let you use your phone to wake up on time. 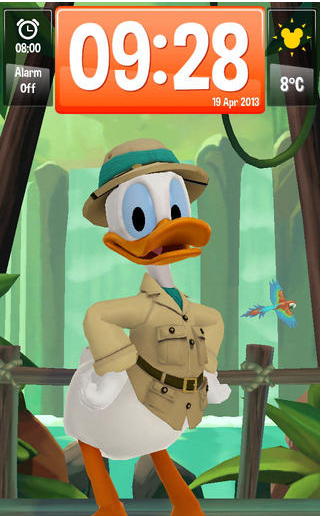 Wake Up With Disney happens to be a beautiful alarm clock that provides you with 3D interactive experience with many Disney characters we have come to love over the years. This alarm clock has a polished design and is easy to get started with. Unlike many other alarm clocks that we have tested, Wake Up With Disney is actually quite fun to use. 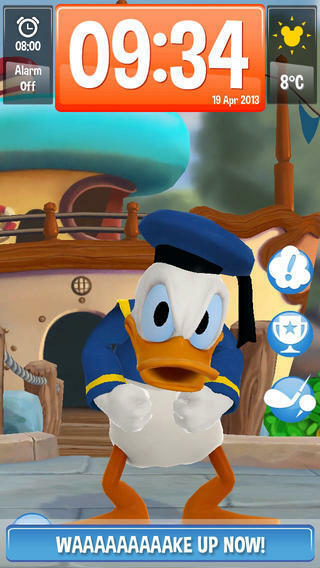 You get a talking alarm, an interactive Donald character, and many customization options. The weather forecast is animated. You can even use this as your flashlight in darker rooms. Wake Up With Disney is not only good looking but funny and kid-friendly. 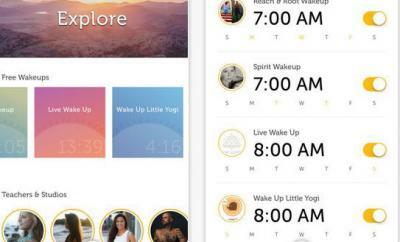 This is a pretty cool alarm for those of you looking for a more entertaining app to help you get up on time. Sets you back $0.99 at this time.